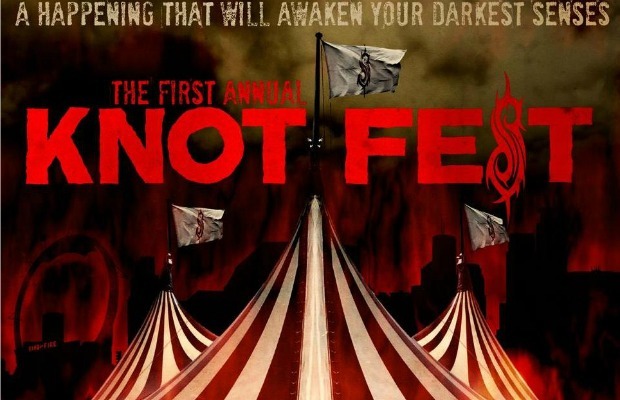 Slipknot will be curating a new festival dubbed Knotfest, and the first year's lineup will feature Deftones, Lamb Of God, Dillinger Escape Plan, Serj Tankian, Gojira and several others spread across the dates. Knotfest is a two-day, multi-city event, with shows on Friday, Aug. 17 in Council Bluffs, IA at Mid America Motorplex and Saturday, Aug. 18 in Somerset, WI at Somerset Amphitheater. Tickets go on sale June 8 at 10 a.m. ET.